-Organisms have cells with a true nucleus and membrane-bound organelles. -Organisms are multicellular with no cell walls and are heterotrophs. -Organisms possess notochord, postanal tail and pharyngeal pouches at some point during their life cycle. Organisms have bilateral symmetry, segmented bodies, developed coelom, dorsal nerve cord, closed circulatory systems, complete digestive system and an endoskeleton. -Organisms have a vertebral column or a backbone. They move due to muscles attached to their endoskeletons. These organisms also have a digestive system with large glands (pancreas and liver) and a ventral heart with 2-4 chambers. -Organisms have 3 middle ear bones, hair, and produce milk from mammary glands. -Organisms primarily eat meat. They have 4 to 5 toes on each leg or arm and have sharp canine teeth. -Organisms have elongated feet and legs, 5 toes on the forefeet and 4 toes on the hindfeet, non-retractile claws, and usually form packs with strict social hierarchy systems. -This includes wolves, coyotes, jackals and domestic dogs. 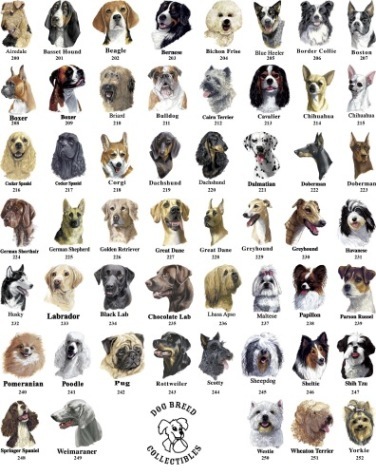 -Canis is the Latin word for dog. 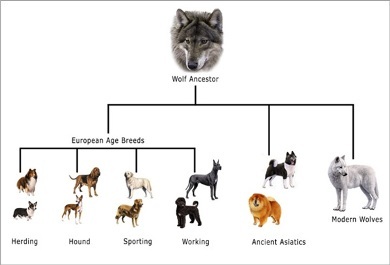 Domestic dogs are ancestors of the grey wolf. To learn more about a dog's habitat, click here.